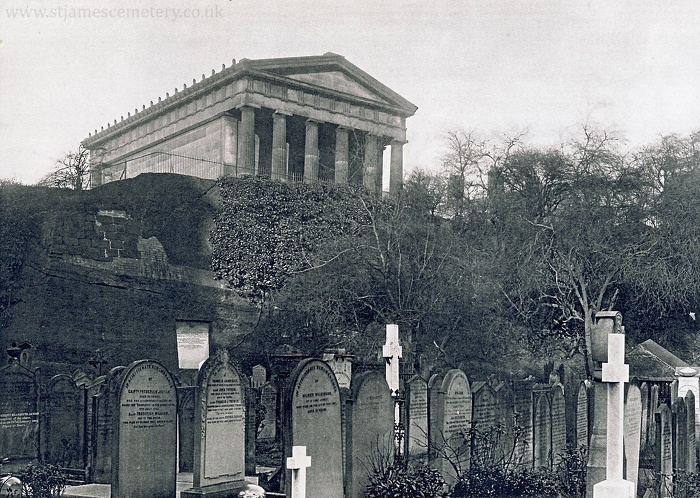 This photograph shows the northern end of the cemetery in 1896. Rows of memorials are in the foreground of the image, with the oratory on the higher ground on top of the cliff behind. The memorials include three crosses, none of which survive today. Samuel Holme's memorial is visible in the rock face.